DATSIP is a Queensland State government department focusing on Aboriginal and Torres Strait Islander policy, coordination and monitoring, as well as the delivery of services to Indigenous Queenslanders. DATSIP is responsible for a range of policy and program initiatives in employment and business development, property matters, cultural heritage and more. A member of the John Pearson Consulting Group, Indigenous Workstars is a full-service recruitment agency which specialises in the placement of Aboriginal and Torres Strait Islander people into meaningful employment across a variety of industries and communities throughout Australia. Indigenous Workstars provides assistance to both employers and jobseekers. The National Native Title Tribunal (NNTT) is an independent agency established by the Native Title Act 1993 (Cth). The Tribunal comprises a President and Members, who are appointed by the Governor General under the Act to make decisions, conduct inquiries, reviews and mediations, and assist various parties with native title applications, and Indigenous land use agreements (ILUAs). 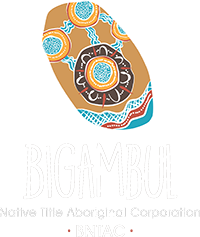 The Registrar of Indigenous Corporations is an independent statutory office holder appointed by the Minister for Indigenous Affairs under the Corporations (Aboriginal and Torres Strait Islander) Act 2006 (CATSI Act). The current Acting Registrar is Mr Mike Fordham. The Registrar’s office supports and regulates corporations through advice, training, compliance assistance and intervention when necessary. QSNTS is a native title service provider funded by the Australian Government to perform statutory functions as outlined in the Native Title Act 1993 (Cth). Its region of responsibility lies in the southern half of Queensland, from Mount Isa in the west across to Rockhampton and down to the New South Wales border. In addition to providing native title, future act and cultural heritage services, QSNTS also provides support to prescribed bodies corporate.